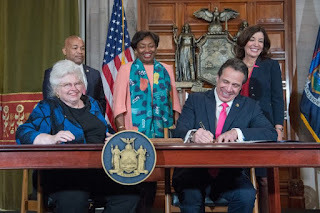 Governor Andrew Cuomo (D-NY) signs a bill which legalizes the aborting of an unborn baby who is up to nine months in gestation. How happy these people are to be able to take all the brakes off the abortion train! How wide are the smiles! But, the happiness etched on these different faces is there for different reasons. 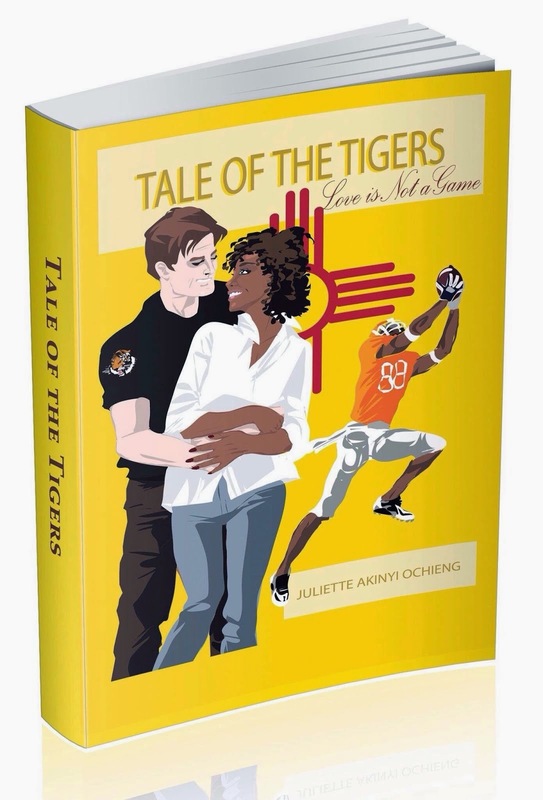 And I know why the black woman is smiling. Consider one Kermit Gosnell, former abortionist and the most prolific (pardon the expression) lone serial killer in recorded history. Gosnell is a former abortionist because he is in prison. Gosnell is also black. There is a certain segment of the black American population -- an elite -- that looks down on the majority of blacks and believes that the world would be better off without them. Not too many non-blacks know this. This elite has existed for a long time and what they think about the vast majority of blacks would make a Klansman blush. (One white person who does know: Anne Rice. She outlined the culture in her excellent, non-vampire novel, The Feast of All Saints.) From Gosnell's courtroom and jailhouse demeanor, I suspect that he is one of these self-styled elites. It's said that many of his clientele were young black drug addicts and prostitutes. Someone like Gosnell would believe that he was doing the black race a favor by "culling the herd," that is, getting rid of the inferior members of his race. That he didn't even allow his victims the dignity of proper sanitary conditions and that he kept trophies of his youngest victims are just symptoms of his singular psychopathology ... and actually, the former makes sense given what I suspect about Gosnell. Puncturing uteri, over-drugging and passing along diseases through dirty instruments would -- and did -- cause many of the women to become sterile. I’ve seen this evidence of this mindset expressed in comment sections on left-leaning news sites and blogs. And, years before the Gosnell horror came to light, I was shocked to hear it issue forth from a young black woman at an activist event. This woman said that she was pro-choice because it was cruel to allow children to be born to poor, single women and to drug-addicts. When I tried to counter that neither she nor anyone else could predict the future for a child born under such conditions, she legitimately brought up the odds. I raised the moral issue of murder as prescribed in the Bible, but, predictably, she was an atheist. I was at a loss. On the aforementioned websites, I’ve seen black women call the pro-life movement racist. The reasoning? Allegedly, pro-lifers only want to save white babies! I was floored by the implication that saving white babies somehow means that pro-lifers are not advocating that non-white babies should be saved as well. I’ve had a number of years to think about it and what I’ve concluded is this: people will make up all kinds of justifications, even self-contradictory ones, to allow themselves to sleep at night after making certain decisions, especially selfish decisions born (pardon the expression) of irresponsibility -- promiscuity being chief among these. Activists and politicians are merely providing the justification -- for different reasons, to be sure, but with the same outcome. Death. Improving the race and fighting racism; that’s what these people and others like them have used to justified self-genocide. So it is that the black woman in the photo is overjoyed that New York state will make it easier to improve the black race. I don’t know. Maybe she thinks black self-extermination is an improvement. Many of my readers know that I had an abortion when I was a teenager and a miscarriage 13 years later when I was married. All of my children are in Heaven. When I became a Christian, murdering my child was the first thing for which I asked God to forgive me. But, before that, it was something I thought had put behind me and I even justified it to a certain extent.